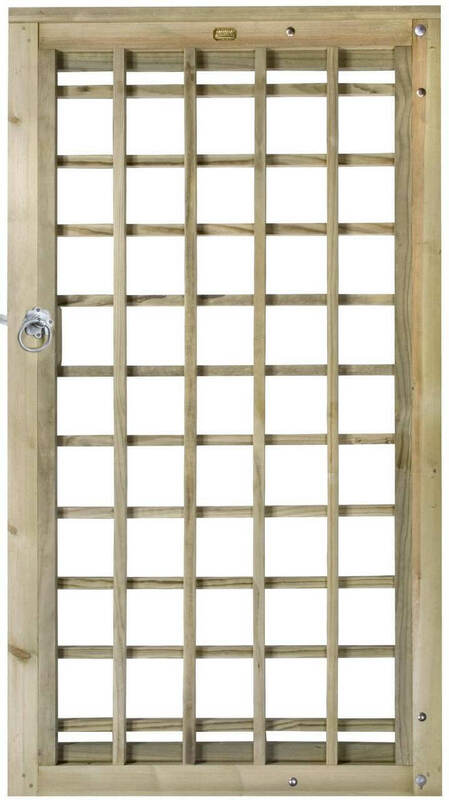 A quality garden Trellis gate set. Includes posts and fitting pack ready for installation. Right-hand hanging gate.